If you’re in Houston on Sunday, May 22nd, 4 pm – 7 pm, JOIN US! You must register to secure a seat. Register Here. 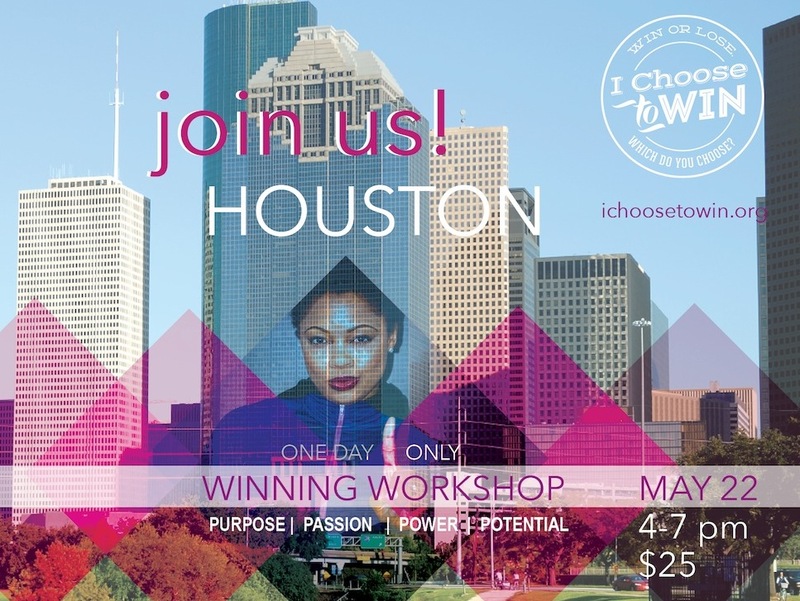 I Choose To Win will feature a fundraising preview workshop of the unique programming offered by its organization to friends and family in the Houston area. Hosted by Joy Yoga Center, I Choose To Win’s preview event will feature a challenging session by Melonie Butler to stir attendees with a purpose: live victoriously TODAY!